While they face a number of threats, ranging from disease to human conflict, the two biggest obstacles to their survival are urban development and a lack of genetic diversity. Their small numbers now also put them at serious risk of disappearing in the event of a natural disaster, like a wildfire. Without the ability to expand and establish new territories, mountain lions face not only the threat of deadly encounters with territorial older members of their species, but also problems that come with a lack of genetic diversity. While the researchers’ conclusion doesn’t bode well for Southern California’s mountain lions, these findings still give us a chance to act before it’s too late. It’s easy to read our paper as yet another pessimistic story about wildlife threatened by human actions — and in a sense that is true. However, there is also a more optimistic message in that our model predicted that these populations can persist with relatively modest increases in landscape connectivity. 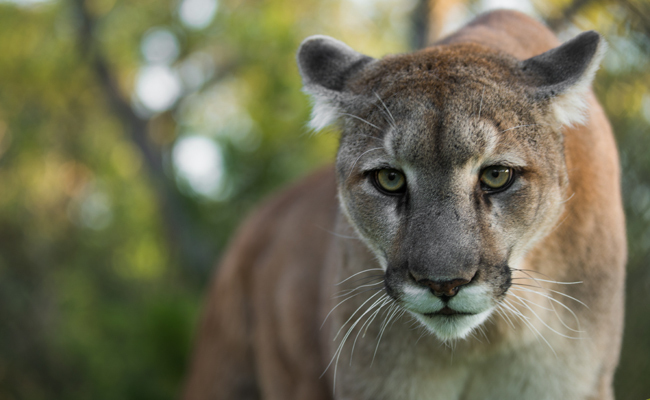 If we can maintain healthy populations of mountain lions — a species that roams widely and requires such large spaces — here in greater Los Angeles, that bodes well for our ability to conserve large carnivores anywhere. Our research has shown that the mountain lions in the coastal Santa Ana Mountain Range are primarily put at risk by restriction of their movement across Interstate 15, and their high mortality rates from vehicle collisions and being killed after they have killed unprotected pets or livestock. Efforts are underway with highway engineers to improve wildlife crossing structures or build new ones on both the I-15 and 101 freeways to enhance movement into and out of both mountain ranges. Plans to build a wildlife crossing over the 101 Freeway in Agoura Hills has been underway for some time, but it has yet to become a reality. The project would connect habitat in the Santa Monica Mountains with the Simi Hills and Santa Susana Mountains in an effort to give mountain lions a safe corridor to expand their ranges and populations. Ideally, this study will raise awareness about the plight of California’s mountain lions and inspire more research and funding to help them survive. All lives matter. No species should go extinct. We must step up and protect all living creatures. The wildlife crossing bridge must become a reality before it's too late. Douglas Deaton. Go to hell, You are part of the subhuman clique of planet destroyers and you have no right to speak. Get off Care2. In 50 years this planet will be unrecognizable as the current mass extinction continues. I've gotten to hate the comparison of breeding like rabbits or rats! The number of humans covering the Earth is sad and to me incomparable because we cause the most devastation.